Offshoring and outsourcing are back in the news...But do Americans really give a S#$%? Offshoring and outsourcing are back in the news…But do Americans really give a S#$%? Obama and Romney “spar” over outsourcing and the lowest rated Sunday news program in America – CBS – is the only news outlet that reports this news, while the article on the subject is clearly articulated and analyzed in EVERY Indian newspaper!!! Why isn’t this important to America? Isn’t it significant that the 4th largest bank in the US, Wells Fargo, plans to move jobs to India soon to “trim cost”? So where did this whole outsourcing / offshoring conversation come from again…this conversation is so 2006? It all started when the Washington Post released a story that claimed Mitt Romney’s Bain Capital had a monetary stake in companies that outsourced jobs overseas. According to filings with the Securities and Exchange Commission, Romney’s financial company, Bain, a private equity firm that he founded and has been actively involved in running for nearly 15 years, owned companies that were pioneers in the practice of shipping work (call centers and factories making computer components) from the United States to low-wage countries like China and India. McKinsey Global Institute estimated in 2006 that $18.4 billion in global information technology work and $11.4 billion in business-process services have been moved by American companies overseas, especially in Asia. I can’t believe that this was the statistic in 2006? Strangely enough, I could not find a more current statistic on this subject! I guess this brings me back to my original question, Why isn’t this important to America? This blog is not an attempt to be political. It is certainly not my intention to point the finger at one candidate or another. The subject of outsourcing / offshoring jobs overseas, especially in technology, is near and dear to Ayoka. 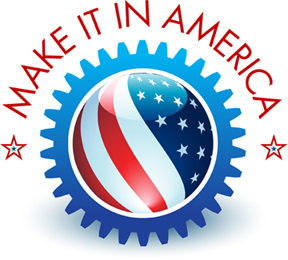 10 years ago when we started this company we were committed to American Competitiveness. Our enthusiasms continues to build over the years as we work side by side with our country’s greatest innovators (our clients!). From manufacturing to animal husbandry, Americans are doing great things with technology! And we have an continue to be engaged in the fight to keep jobs in the United States. Americans are doing great things with technology!